Semi-vowels, aka semi-consonants, are sounds pronounced somewhere between vowels and consonants. (Très logique, n’est-ce pas ?) They’re created by partially obstructing the passage of air through the mouth, and can also be called glides or approximants. 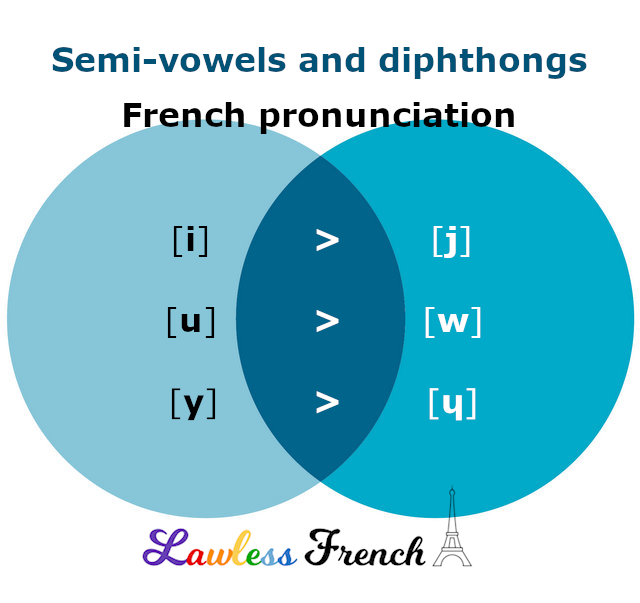 See IPA – vowels for details on how to pronounce and spell these sounds.